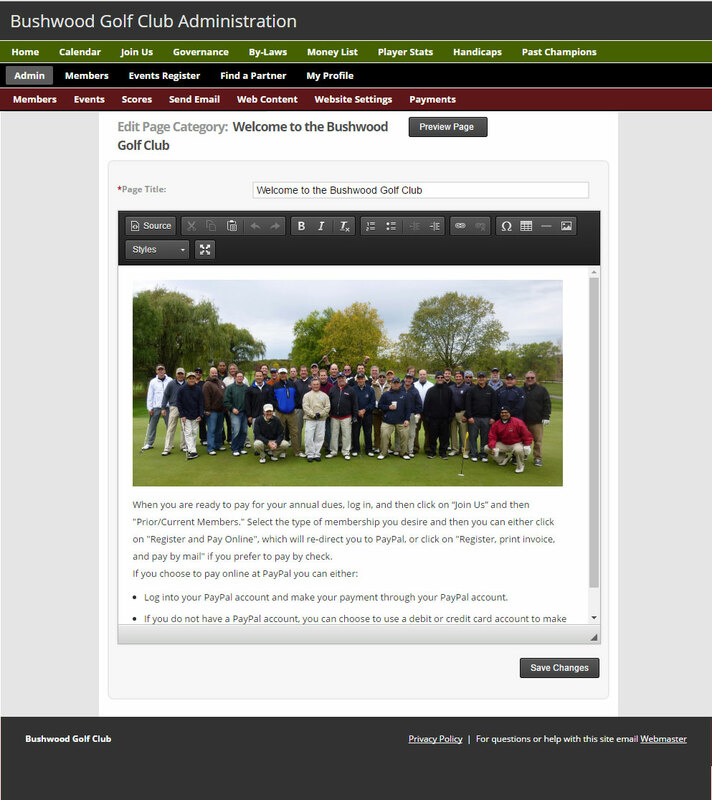 A website application that can boost participation, generate member enthusiasm and increase productivity for admin staff. 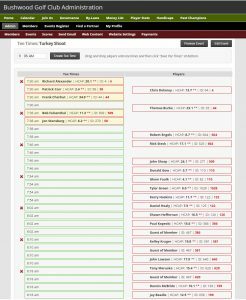 Everything you need in one application to run a league, and be cost effective. 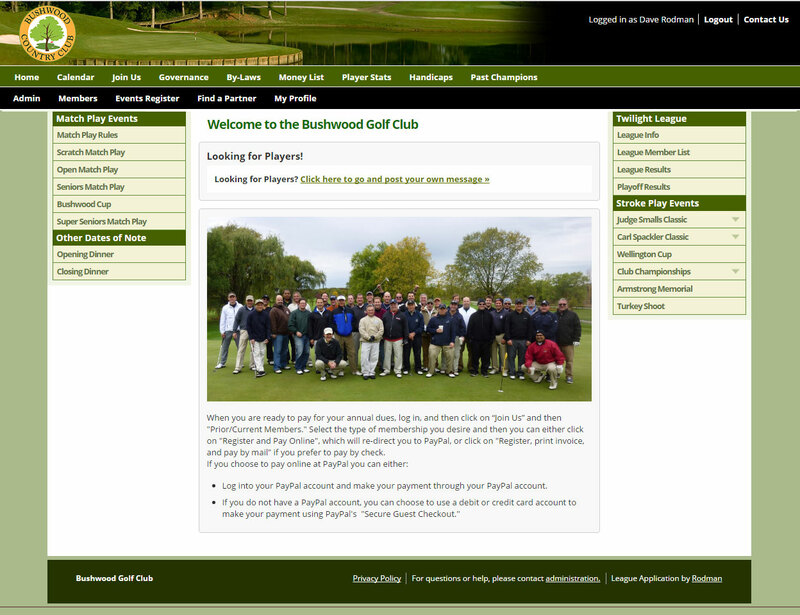 Increase Participation in your golf events with easy registration and payments. 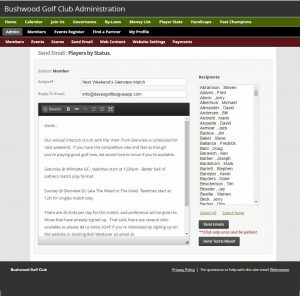 Boost Participation Even More by sending targeted email reminders. 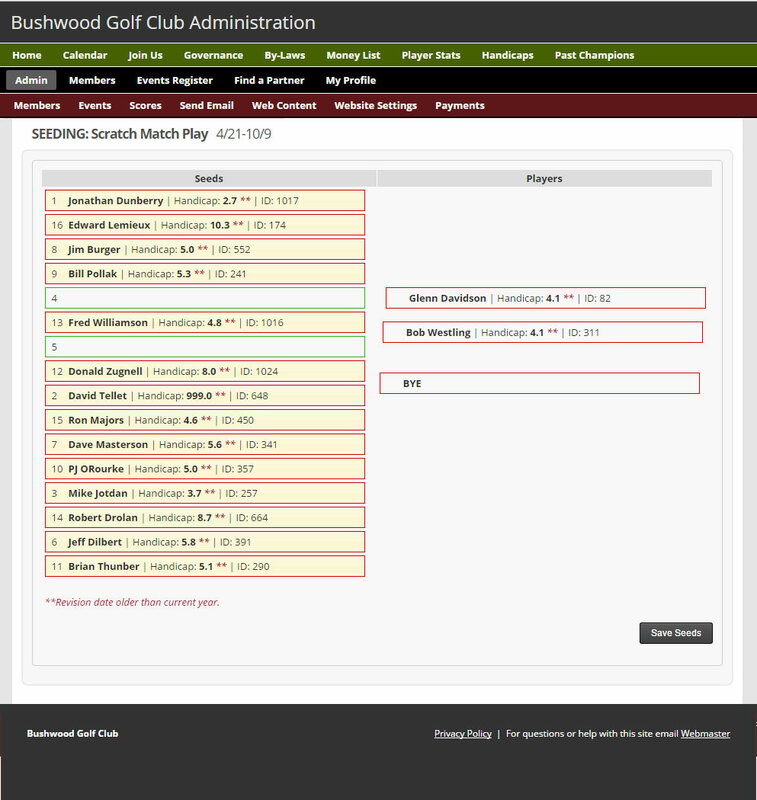 Set up a Complete Tournament by assigning players to groups, tee times, and posting results. Boost Member Enthusiasm with player and tournament stats. 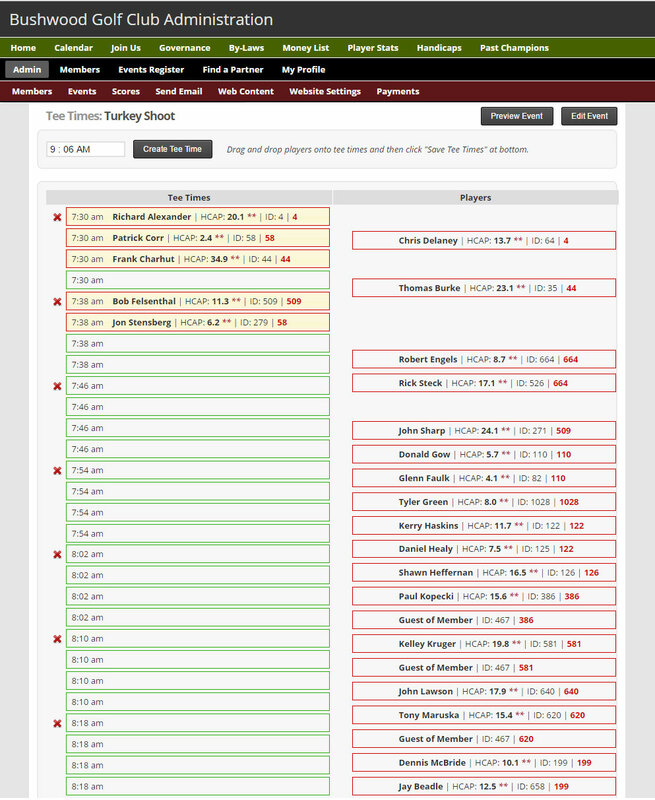 Reduce Administrative Tasks by involving players more interactively. 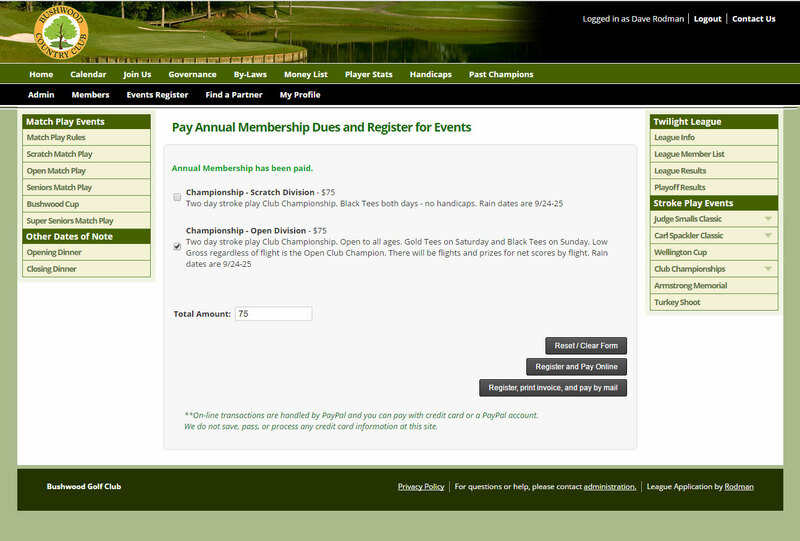 Register and pay for single, partner and foursome events. Options to pay for all or just themselves. 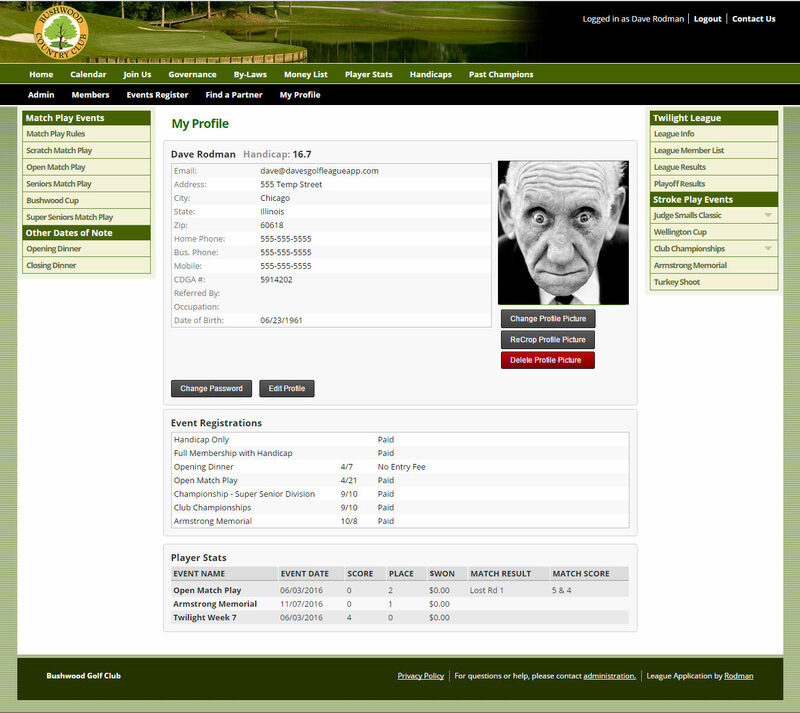 Payment record is created for each registered player. 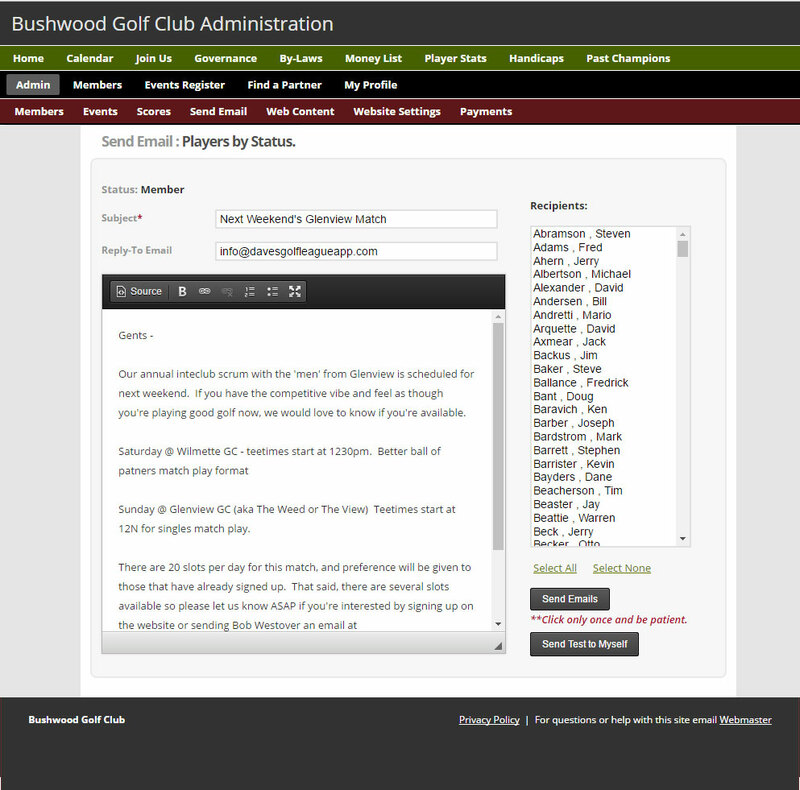 Players have the option to pay online or print out an invoice and pay by mail. 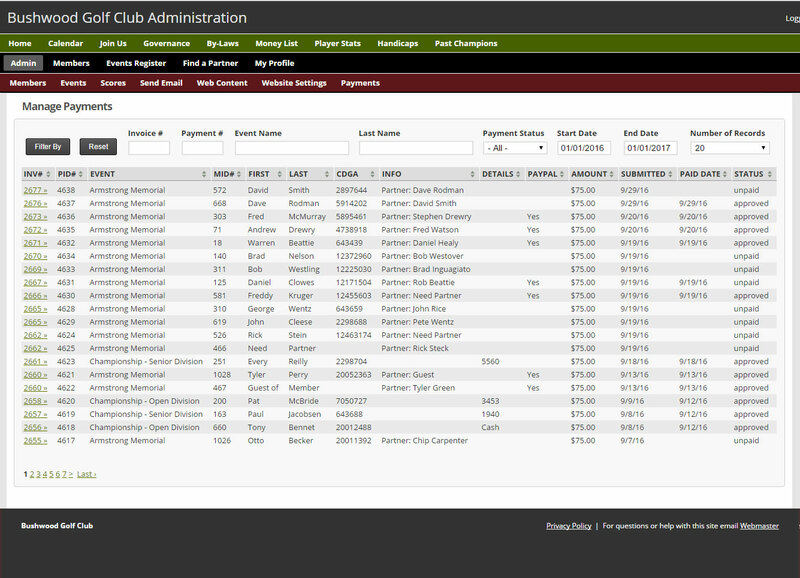 The Administration area keeps track of all membership and event payment transactions and statuses. 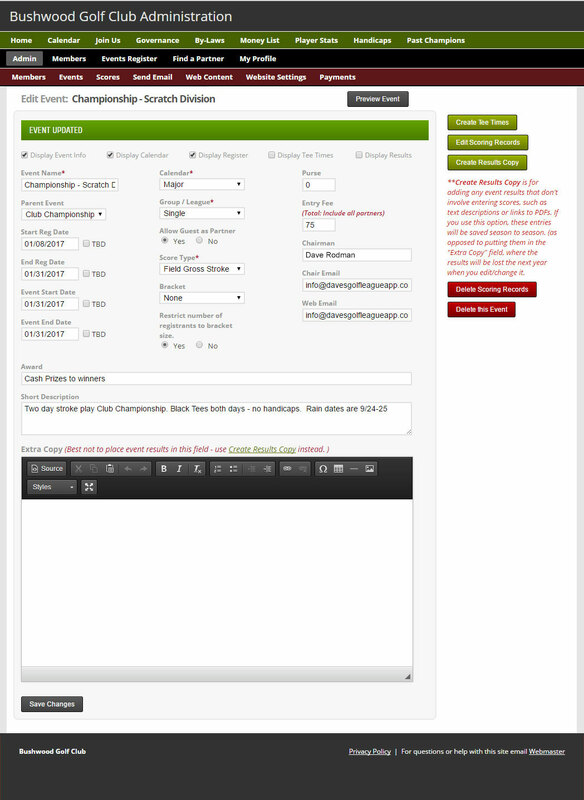 Administrators can manage all payments. 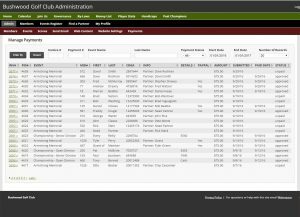 Ability to email invoices to players that still need to make payments. 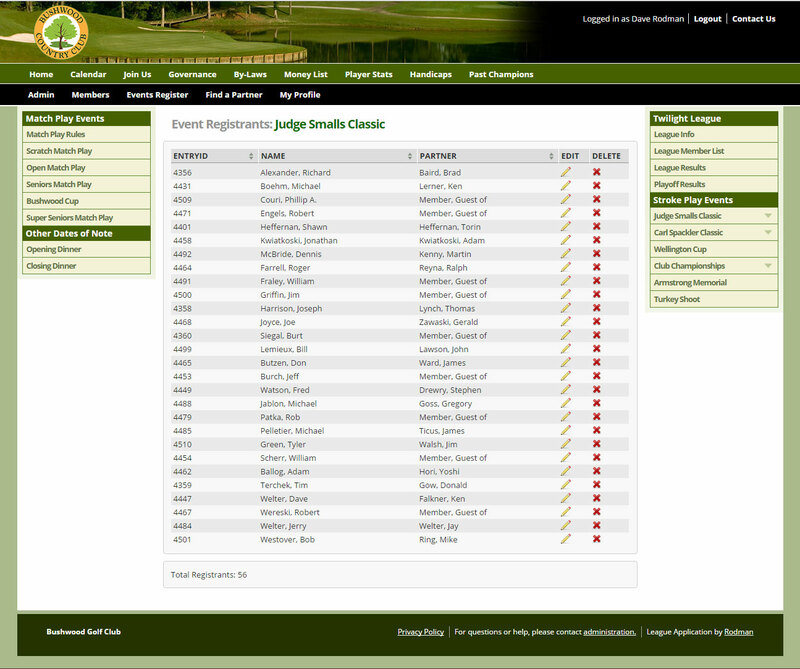 Members that have NOT registered for a specific event. 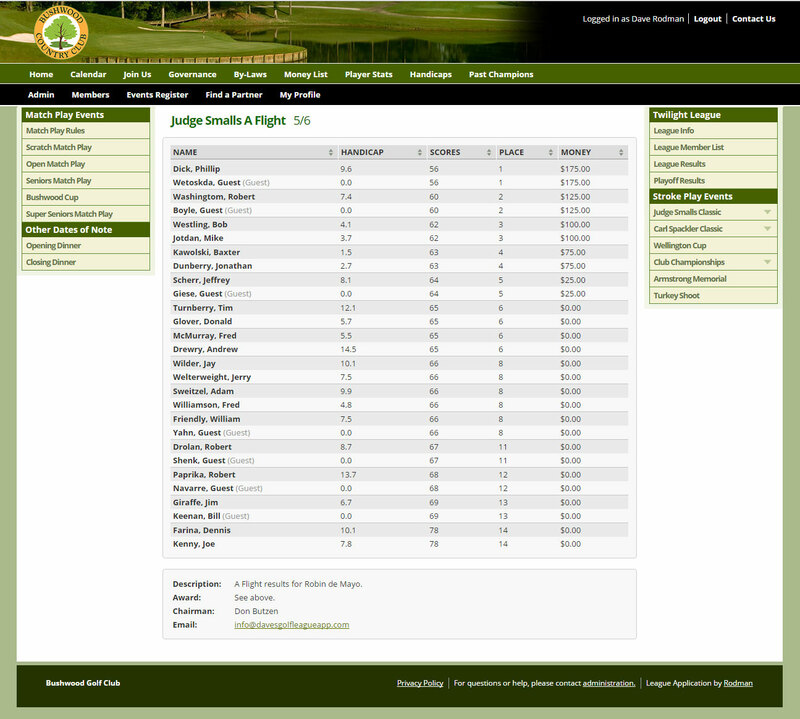 Pick starting time, number of tee times, and minute intervals between times, and application will create all times needed. 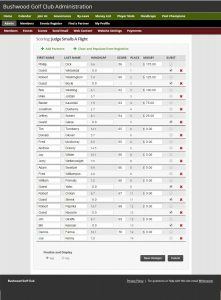 Ability to add or delete individual times. 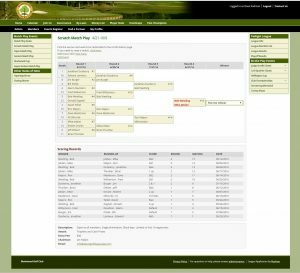 Twilight Leagues use Team and Week selections. 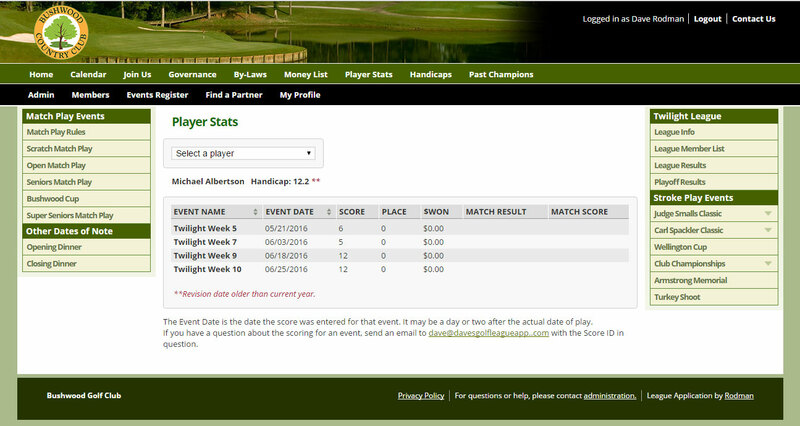 Event scores by Class is also available. Logged in members can see other members’ contact info. Manage all of your members. 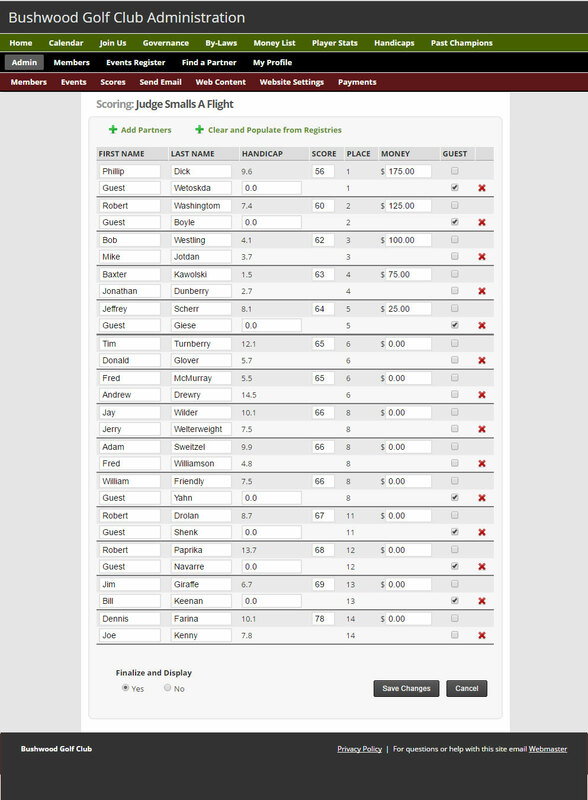 Handicaps are automatically updated for all members registered with GHIN or CDGA. Scheduled running scripts will do this for you. 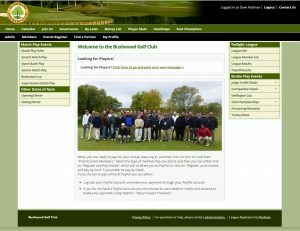 Use another handicap organization? Let us know and we’ll figure it out. 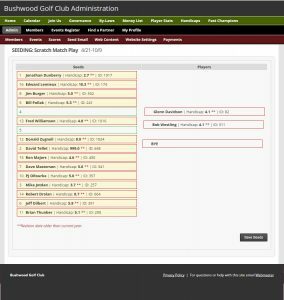 *There may be a league minimum depending on your needs. Price does not include your own domain name. Though I am not great at the sport, I have been a golf fanatic for a long time. 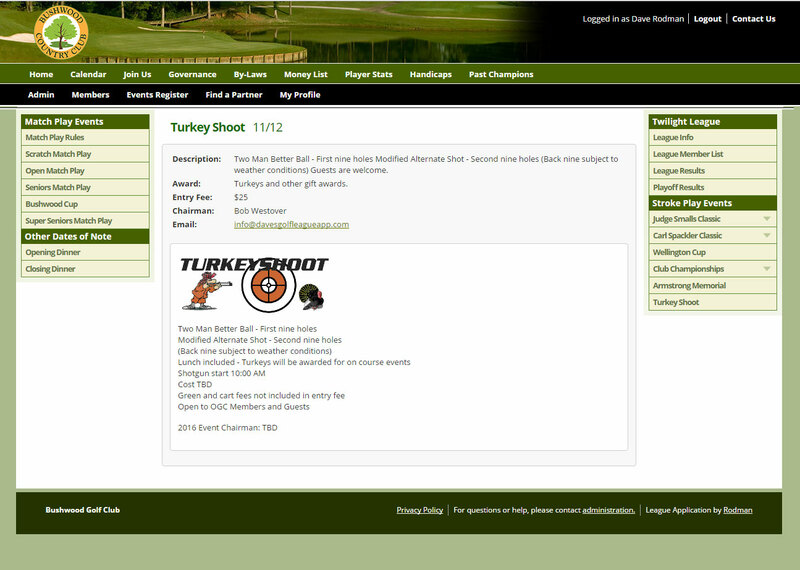 My day job has been designing and developing websites and website applications for various clients. 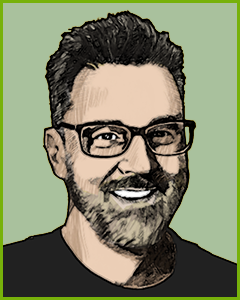 I run my own company – Rodman Design & Development. A couple of years ago I was asked to build a website application to help manage some men’s golf leagues in the near north suburbs of Chicago. All has gone well and I keep improving and adding functionality as I have time to. 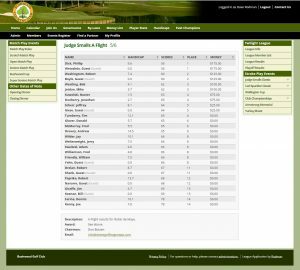 The leagues’ officers find that it saves them lot’s of time and is a valuable asset. 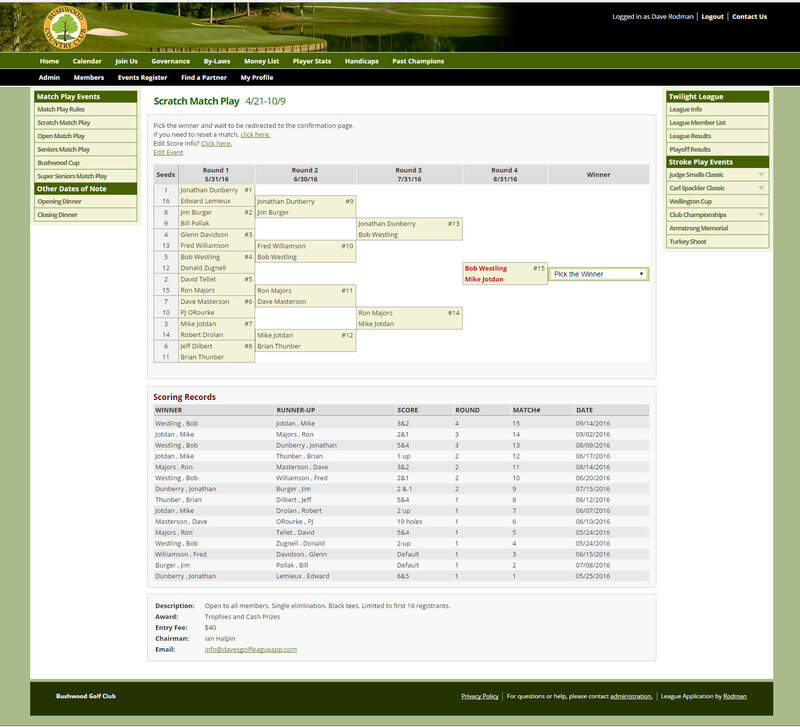 The members like it because it makes it easy for them to sign up for events, and check on scores, matches and tee-times. 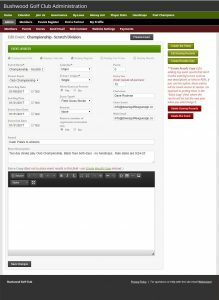 If you decide to use my software, you not only get a great website application — but you also get personal service from “yours truly” for support. I hope you’ll consider contacting soon me for a demonstration.